Here he is, waiting patiently at the back door. Most likely this is Miss Paula’s most loyal customer. I do know he was there, waiting as long as I was around. Never left his place in line. 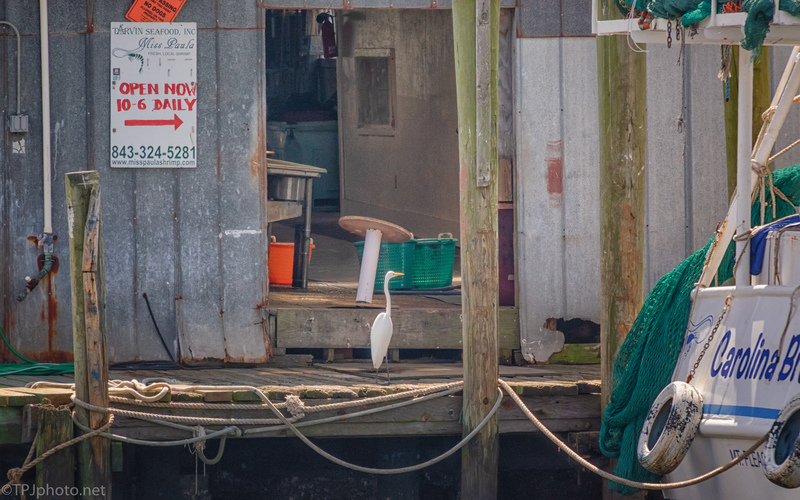 Herons and pelicans wait near fishermen for handouts. Oh yeah. This is at a shrimp boat pier. When the boats arrive it’s chaos.